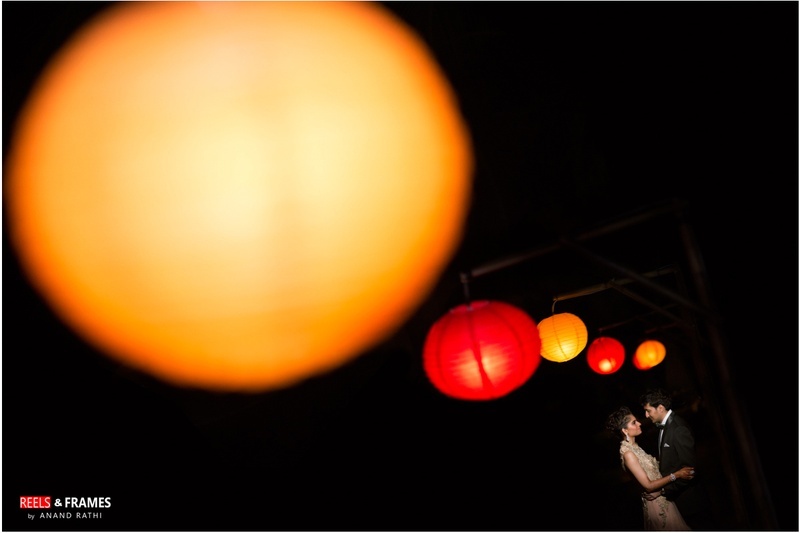 The wedding was a more traditional affair with a floating wedding mandap setup inside the pool! 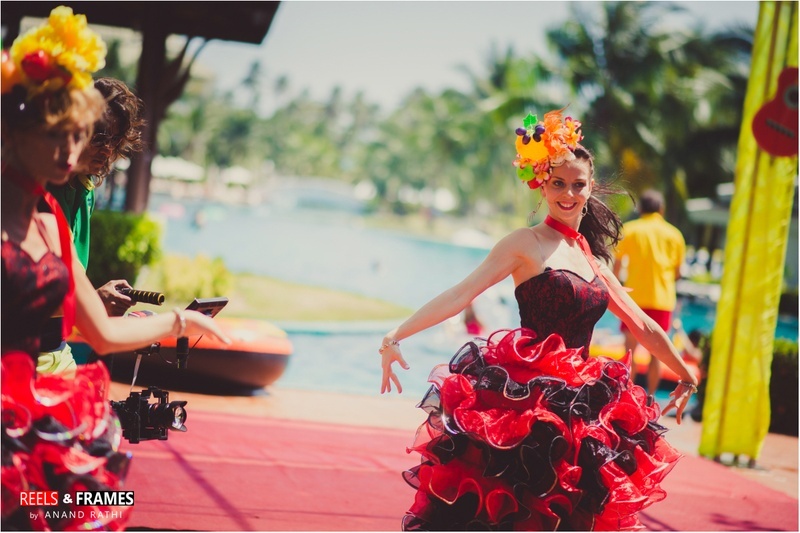 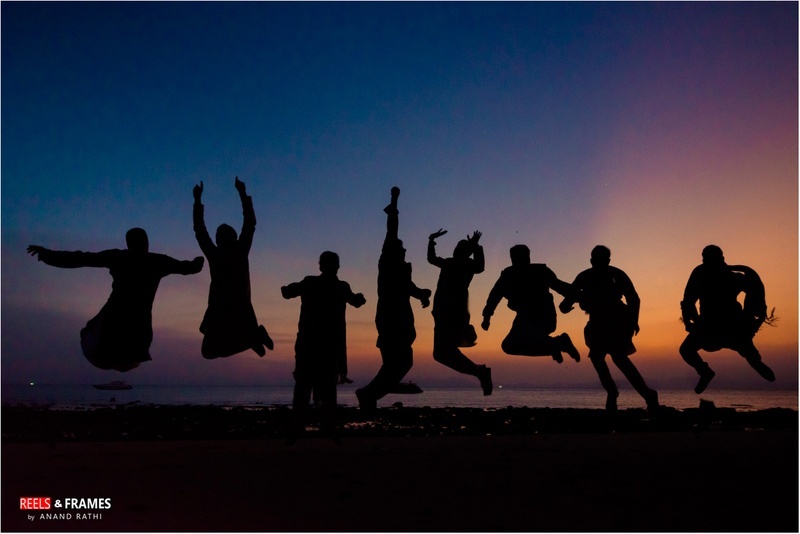 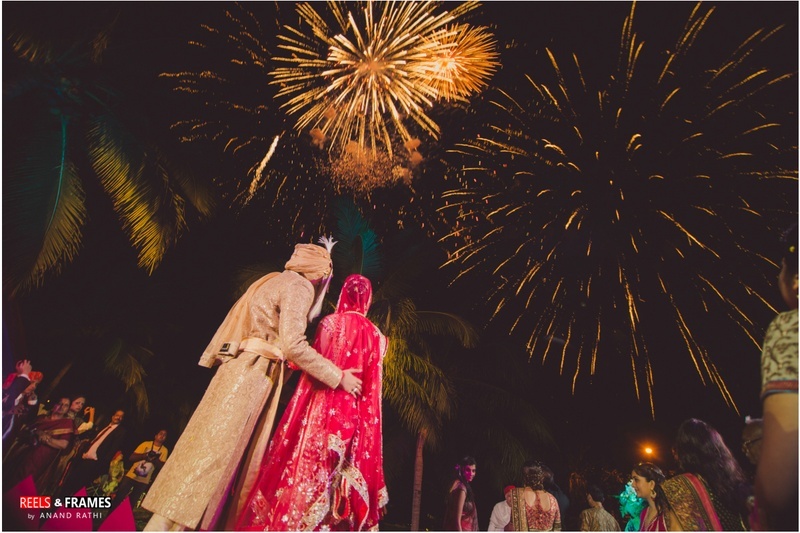 The couple wanted the international destination wedding at a sub-tropical location. 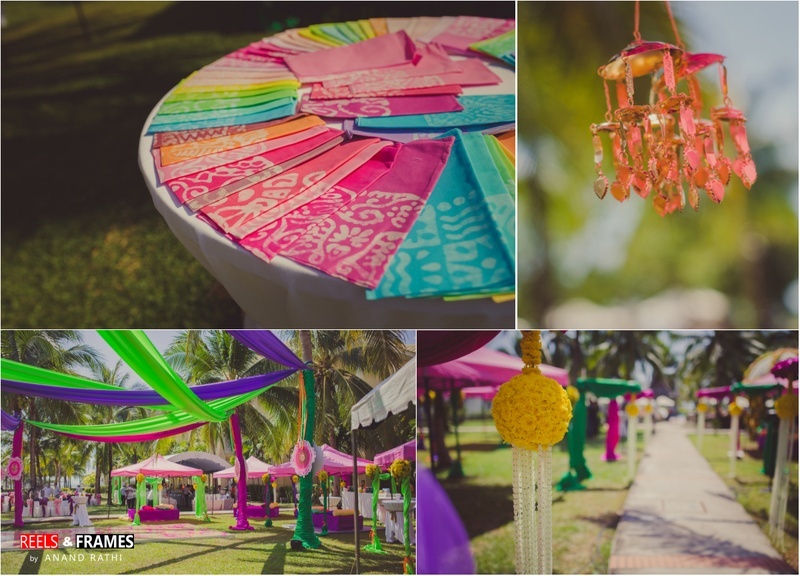 so it was held at Sofitel, Krabi. 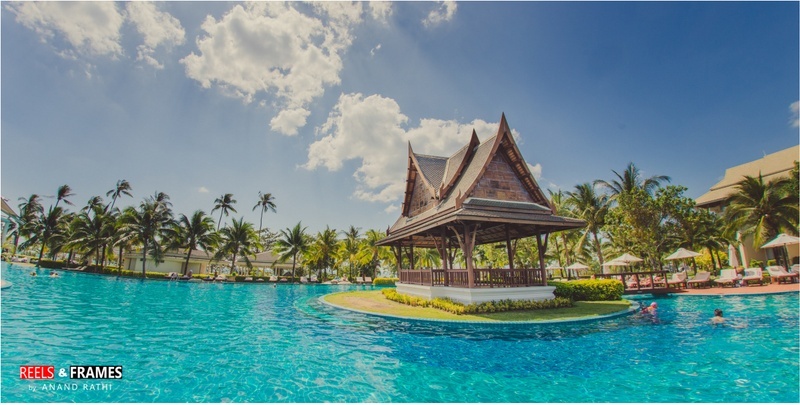 – a beach side Spa and Golf Resort,Thailand. 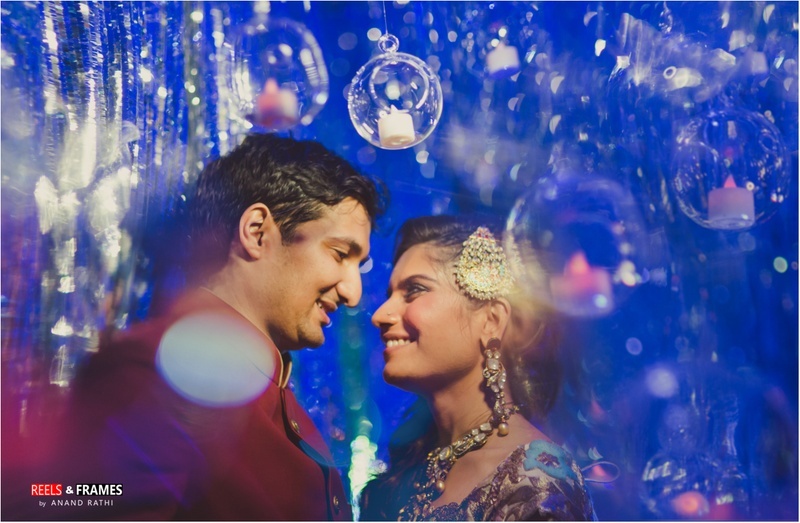 The two love birds of Calcutta,met in London while studying. 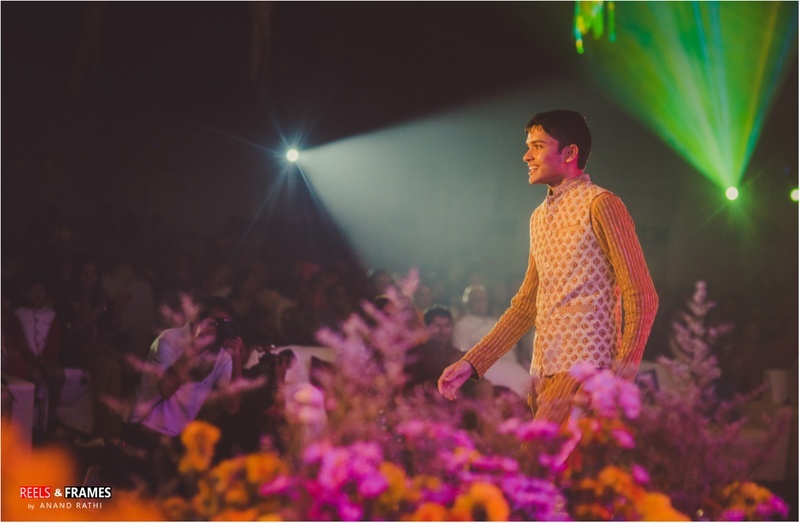 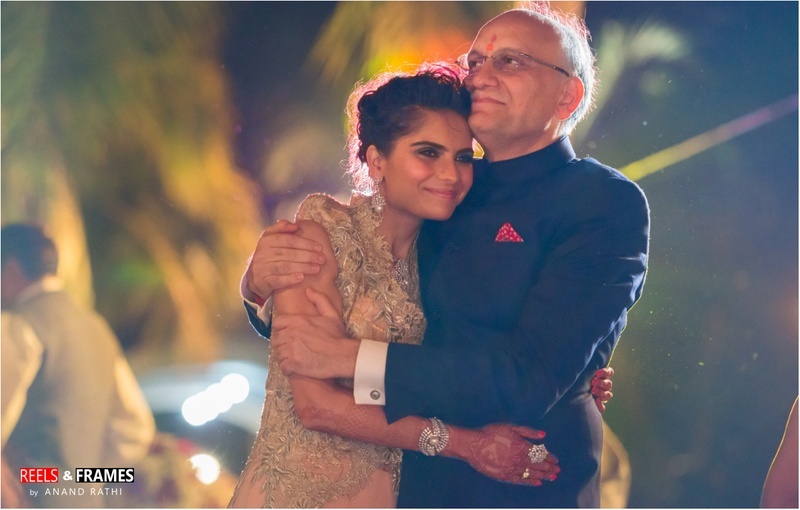 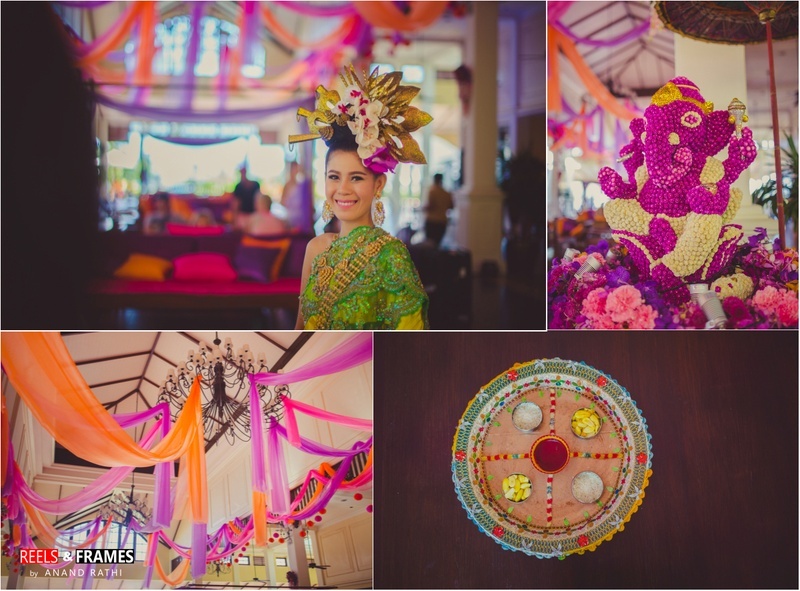 The wedding events included a traditional Thai guest welcome, Mehendi, Sangeet, Haldi and Wedding. 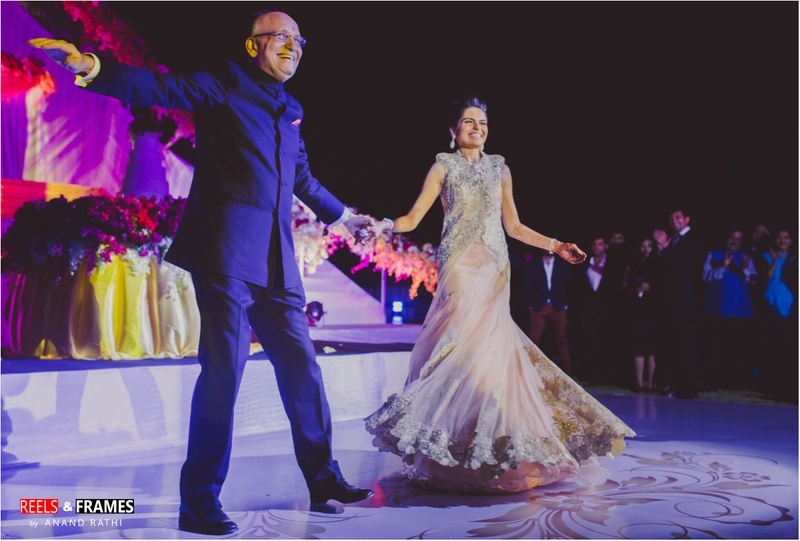 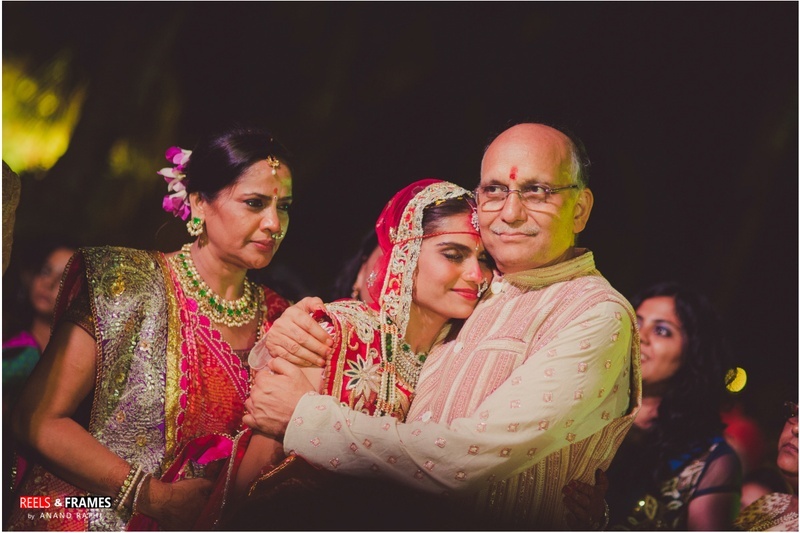 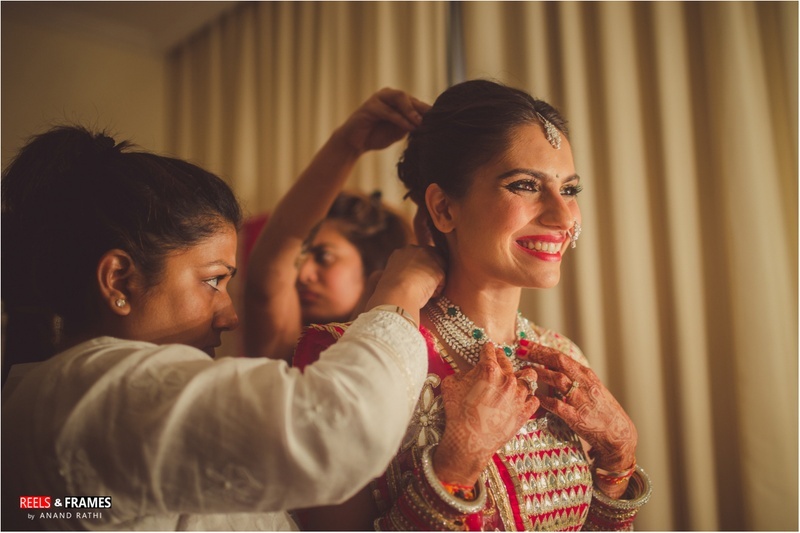 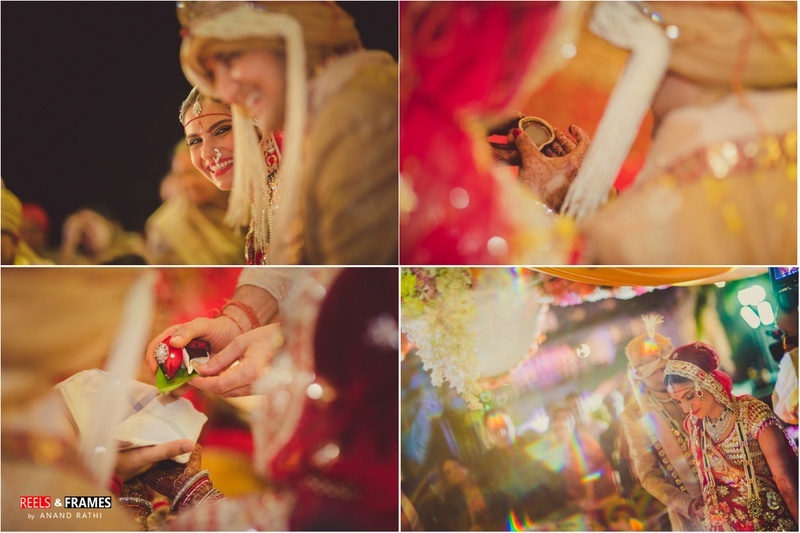 Our gorgeous bride hails from a Marwari background while Prabhat is Punjabi, so it was a multi-cultural wedding comprising of various wedding rituals from both sides. 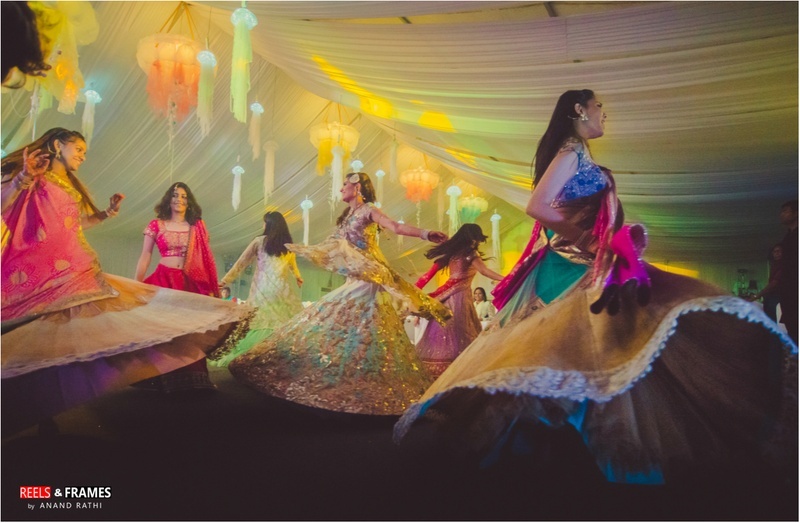 Mehndi décor was themed around Punjabi culture. 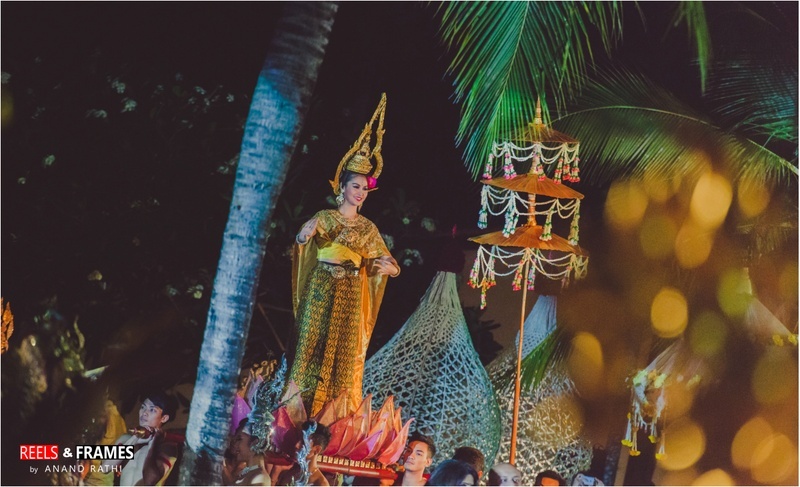 It included a giant truck shaped photo booth and Punjabi folk singers.For the Thai night, a 30 feet high tower of the champagne glasses was the highlight of the décor. 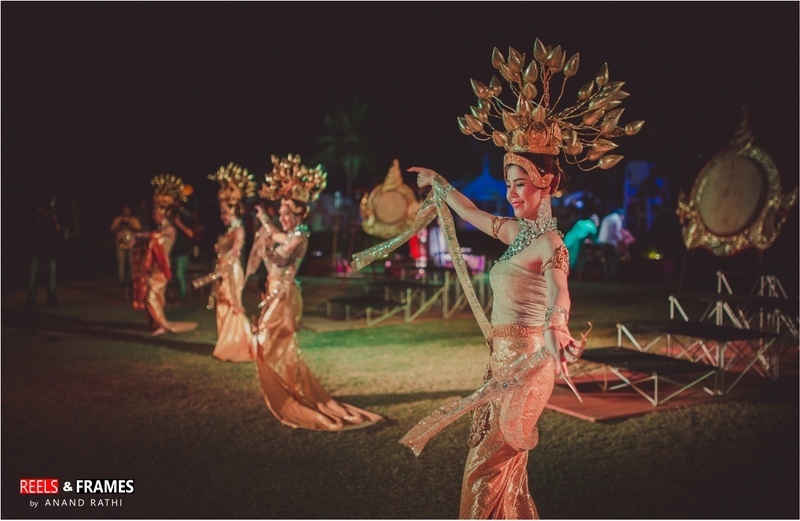 Local thai dancers, fire breathers and kick boxers entertained the guests.The Sangeet décor was aqua themed. 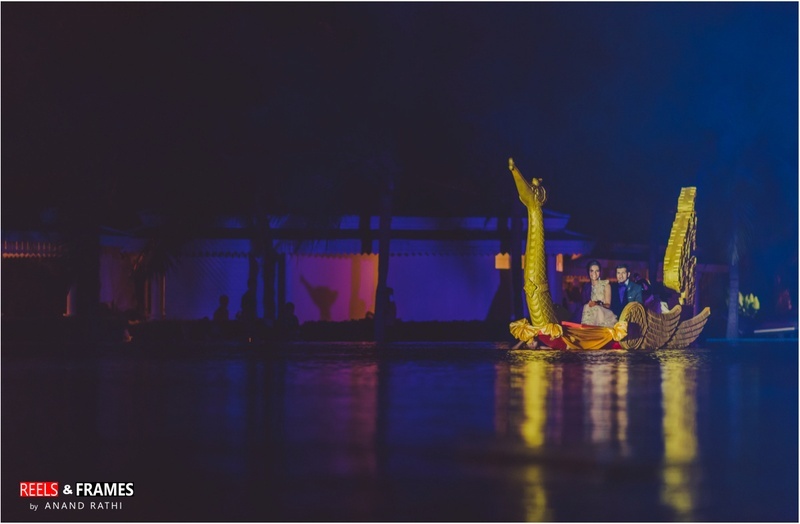 The wedding was a more traditional affair with a floating wedding mandap setup inside the pool! 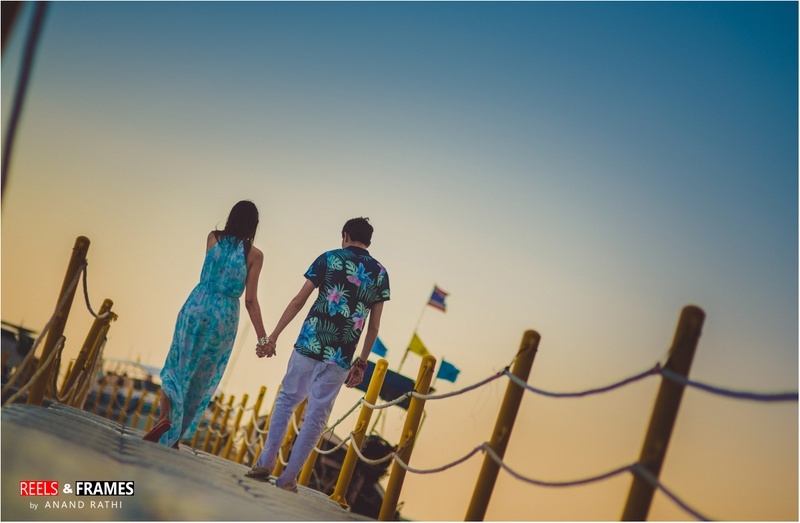 Nothing like a casually romantic walk on the wooden path by a beach. 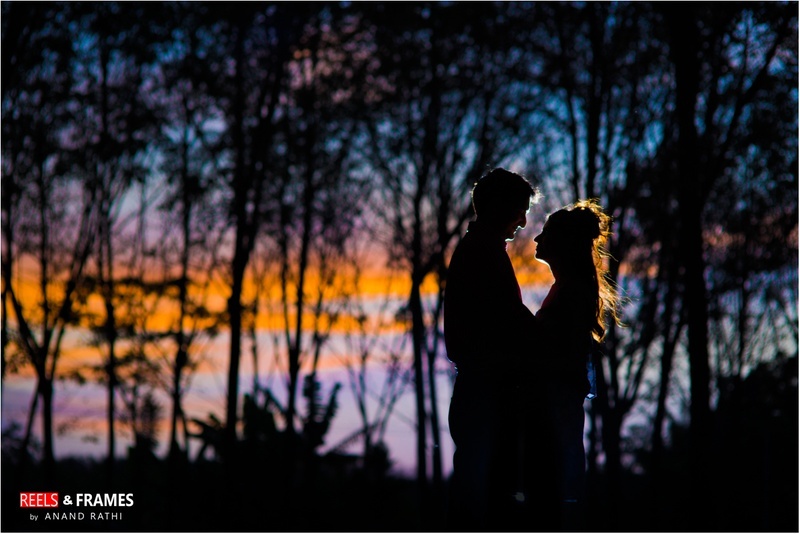 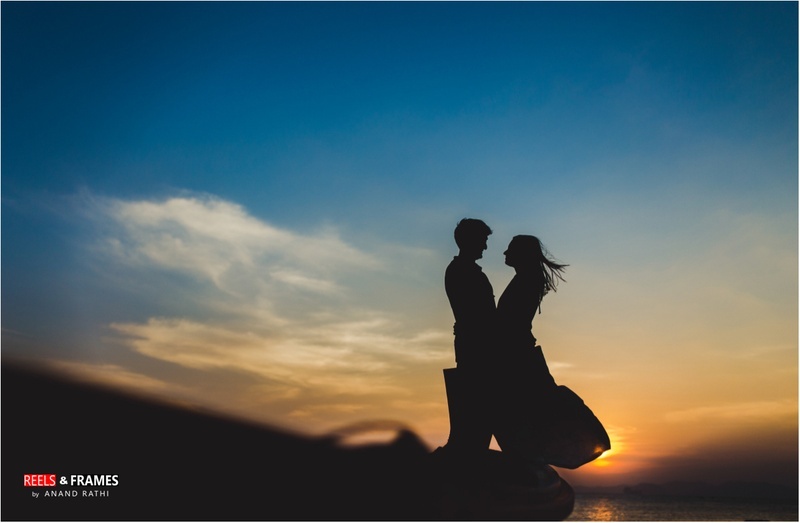 Shadow photography of the romantic couple shot during the sunrise. 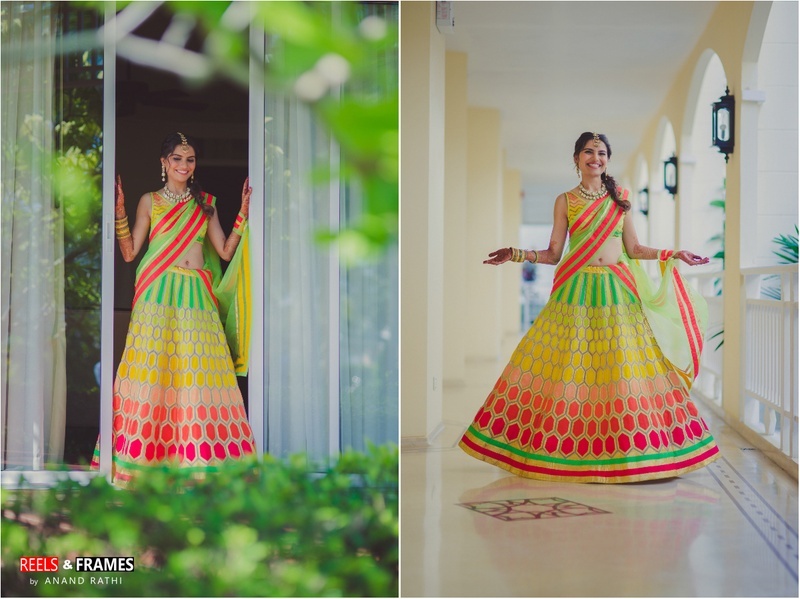 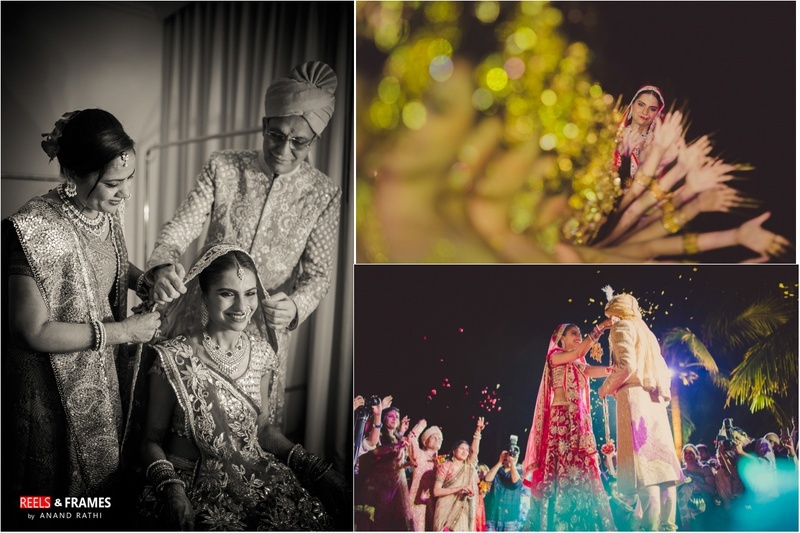 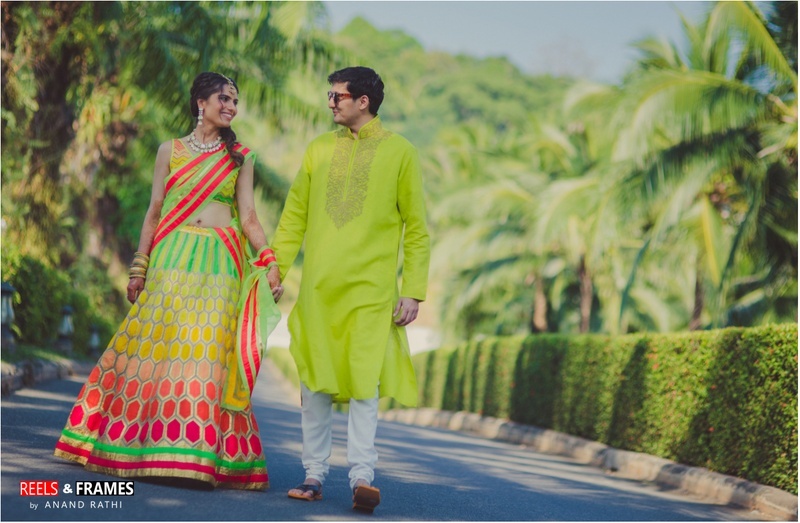 Lovely photography of a beautifully styled bridal lehenga with neon colors became the attraction of the day.